champagne at your launch party with your friends. hearing a draft that it completely the wrong vibe for your song. This is the process of writing, finalising, recording and releasing a song. It’s both beautiful and rough. Exhilarating and devastating. But 100% DOABLE. Yup, even by you (I know you might not believe me right now, but I hope by the end of this post that you’ll be nodding along). OKAY SO HOW DOES IT HAPPEN EXACTLY? Every song starts out with a simple idea. I wanted to walk you through some of the stages my song went through so you can see that it doesn’t start out shiny, polished and all put together like a prom queen. It starts out messy (but with a natural beauty) and gradually we put on a little make up, give the hair a blow wave and find the perfect dress. You might want to listen to (or remind yourself of) the FINAL VERSION FIRST HERE (it links to Spotify/Apple Music/iTunes/Tidal/Amazon Music) to get the most out of my dissection below. So here was my initial idea for Molasses (note the shoddy phone recording and pitchy vocals) from April 2017. Done is better than perfect - if I worried about each and every note being bang on in every draft I’d never reach the end! Once I’d fleshed out more of the lyrics and how the chorus and bridge came together. I recorded a demo. Now I think people already get stressed at this stage, thinking that they need to have proper musicians playing each part, professional recording equipment and slick editing. I’m sure producers love it when that happens, but here’s what my producer got from me in September 2017. Note again the pitchy notes (especially in the harmonies) and a few out of time entries. And the “drums” are me hitting my hands on my desk. Super profesh. I also didn’t have a cable to plug my keyboard into my computer so that’s being recorded by me holding the mic near the keyboard speaker. 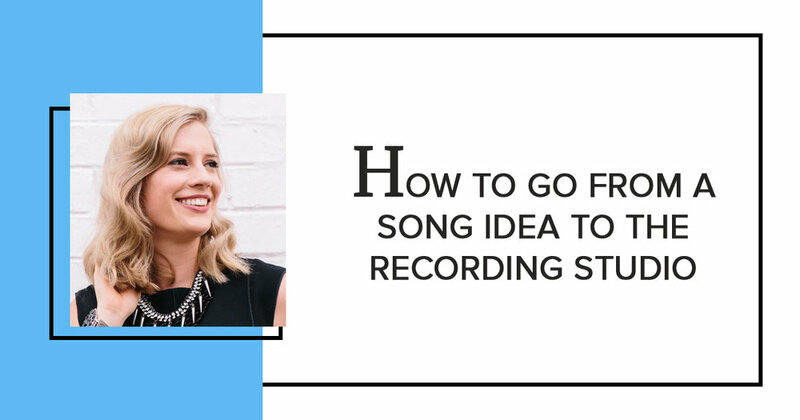 I met with my lovely producer who then suggested I might like to have a session or two with a songwriting coach, to learn a little more about what works and why. Yes my Ego/pride was bruised (who doesn’t want to be a prodigy who knows instinctively how to write hit songs?) but I had to get over that real quick in order to keep moving forward. So, with that - my coach and I sat down and started to pull apart the demo. This was what fell out of that session in December 2017. Some of the changes that were made were speeding up the whole thing, shorter verses, an addition of a pre-chorus and quite a few lyric and rhythm changes. I ended up changing quite a few lyrics again after this as this was a quick fire “get-things-in-the-right-pattern” type of session and there were some words that I didn’t love at the time but needed a number of weeks to figure out better replacements. I won’t take you through all the variations that bounced back and forth with my coach, but let’s just say there was one that had way too much cymbal crashing and was a bit “parade-y” (to quote a friend of mine). What helped immensely was putting together a playlist of songs that had elements that I wanted in my song. Whether it was the general vibe, a drum sound or a vocal effect. What we settled on as the final demo was this (in February 2018). I re-recorded all the vocals, changed the placeholder harmonies back to my ones and added some new ones and changed the lyrics to pretty much what was used in the final recording, so it’s becoming a bit more polished now. The recording. Figuring out how to create the song with real life musicians and instruments. We had a drummer, pianist, guitarist and bass player. I was pretty convinced it was a piano and drums only song, but we recorded parts just in case (including an organ addition). This was the first version I got back from my producer after the recording session (with unpolished vocals) in September 2018. I’ll admit, I was worried. Apart from the first verse, it all felt wrong. It gave me part Enya part vintage Celine Dion vibes which was not at all what I was going for (don’t get me wrong, I love them both it just wasn’t quite “me”). I cried A LOT the night I heard this, overdramatised the “disaster” of course. So this is my word of warning - don’t jump to the conclusion that you’ve somehow ruined your baby. In my case, the changes were simple and we didn’t have to re-record anything. We made the pre-chorus transition smoother. We toned down the volume on my Enya harmonies so it balanced better. We removed the guitar and the organ so there was much more space in the whole song. We adjusted the levels of instruments in the chorus and made the drums the driver. If you didn’t already, you can listen to the final version HERE (via Spotify/iTunes/Tidal/Apple Music or Amazon Music). The thing that can either make this whole process easy or feel like you’re crawling through quicksand is YOUR BRAIN. From start to finish this took me 18 months to complete and I went through every emotion in the book. But I did it and I know you have things you want to make, create and do too. Maybe you’ve taken some action, but not enough to complete your dream project or make enough of a change. Maybe you’re stuck because of self doubt or perfectionism. Maybe you “don’t have enough time”. Whatever the reason, I want to help you bust through it to ensure you’re doing or creating the things you so desperately want to. So, let’s trick your brain into enjoying the creative process more in 2019. SAY NO TO ARTISTIC PROCRASTINATION! Pop your details below to join me for a free live online workshop to get your head straight so that you play/learn/make more than you scroll Instagram . Pop your details below to join the shenanigans. Spam is the WORST which is why I'll never send you any. Unsubscribe at any time.